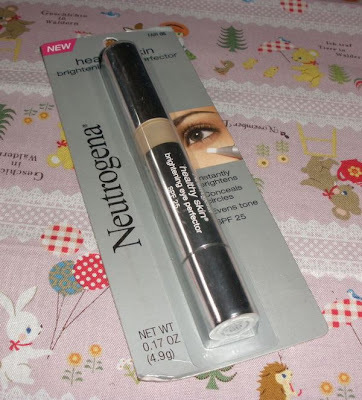 I am not so much a fan of most Neutrogena makeup (at least what I tried)... Well it´s not bad but nothing particularly impressed me. 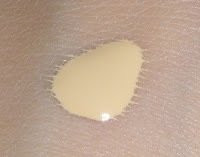 Anyway I purchased this Healthy Skin Brightening Eye Perfector SPF25 in 05 Fair on Drugstore.com as it was on sale and the color looked like it would suit me. This comes in a silver twist-click pen which is quite fat and has a brush applicator so the product just oozes onto the brush when you twist the bottom. I have read/seen a few reviews for this product and some reviewers complained about the lack of pigment in this product. To me this is actually quite pigmented and it covers my minor dark shadows around my eyes and brightens them up instantly. 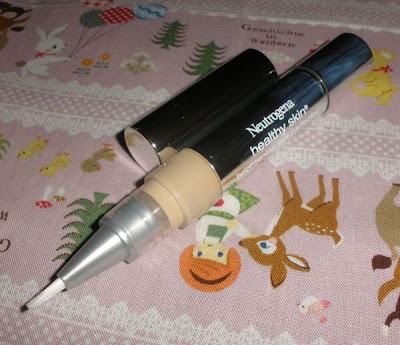 I also like to use this on the rest of my face as a concealer and it does the job so well. 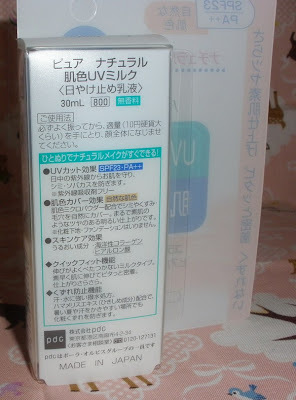 This is a very smooth and moisturizing cream which spreads easily so it makes the skin around my eyes look smoother and very even which was a really nice surprise to me. The added sun protection of SPF25 is quite a nice bonus, too! 05 Fair is a very pale milky flesh color which works *perfectly* for me. 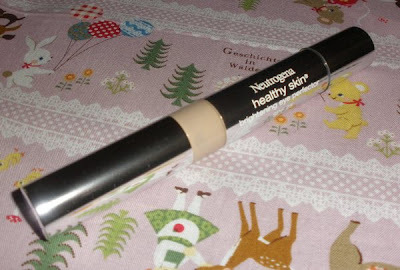 Color-match-wise this might be the best concealer I have found in long time! This seems to be unscented and cost me around €8 or so on Drugstore.com. 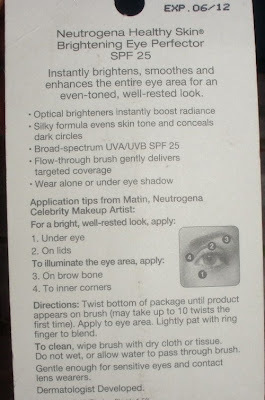 Overall great for someone with fair, normal-dry or dry skin and minor eye circles/other flaws to cover. For others this might make a nice highlighter as it seems to have a light pearly quality (nothing wild or shimmery though) but might not offer enough coverage for really dark circles. 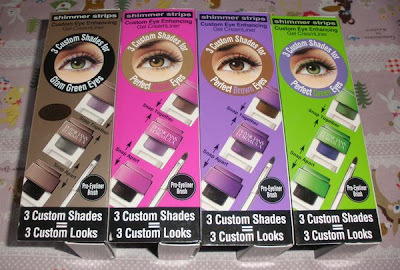 This comes in a total of 4 shades so you might want to check out the other colors if the 05 Fair looks too light for you. Elizabeth is a small Japanese brand that does have some nice products. 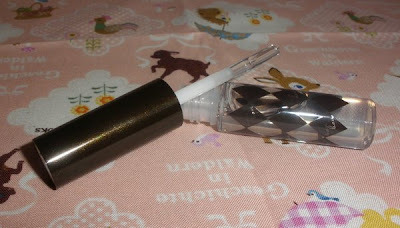 I reviewed some of their lipglosses and nail colors before (though the latter weren´t that great). 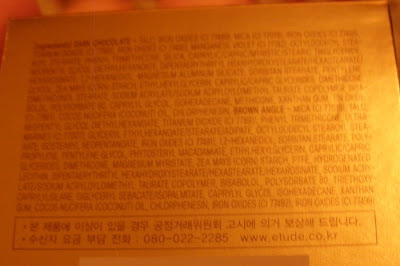 The Lip Care Essence is a new product I believe, I just found it recently on Adambeauty. It comes in a small tube with a clear plastic spatula applicator. 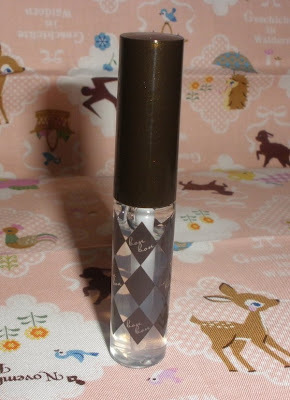 The Lip Essence is a quite slick gloss which is not sticky at all and feels nicely moisturizing. This gives a glossy finish and lasts decently on me. 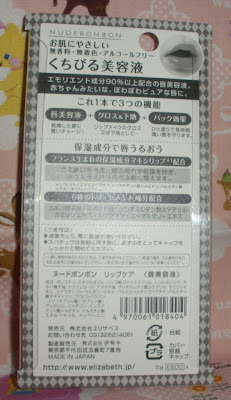 The Lip Care Essence is neither scented nor flavored and retails for 600 Yen. 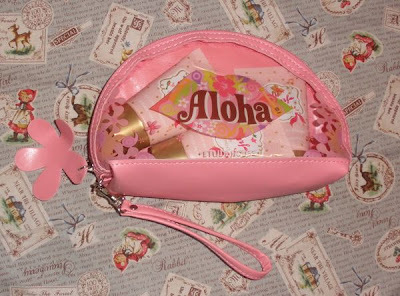 Adambeauty sells this for US$9 incl. shipping (however add US$2 per shipment for registered mail. Overall a really good product and there is nothing bad I can say about it. The Golden Ratio Designing Conté is a really interesting product, unlike anything else I have seen before. The Golden Ratio line (which, as I understand, came out at least last fall so it´s not the most recent release) features products to contour and define one´s face to reach a most perfectly balanced facial ratio. The Designing Conté is a duo of face "pencils" (as EH calls them) that look more like pastel chalks. They are wrapped in plastic which should be only removed in half as not to stain your fingers everytime you use them. I furthermore recommend to keep them in the box incl. padding and cover to prevent these pencils from crumbling or staining other things. 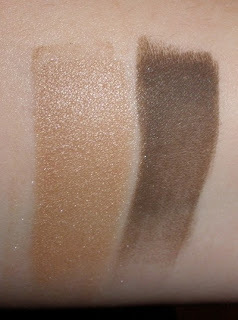 You get 2 colors, one is a shimmery light beige and the other one is a deep chocolate brown that´s matte. The lighter shade should be used for highlighting the cheeks, forehead, ridge of brows etc. 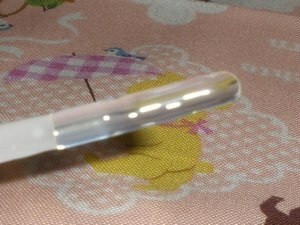 whereas the deeper color is intended to be used for defining the brows, hairline etc. 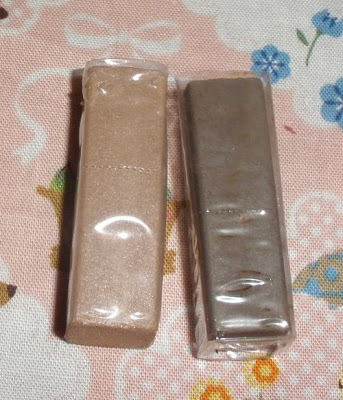 Both could also be used as eyeshadows. 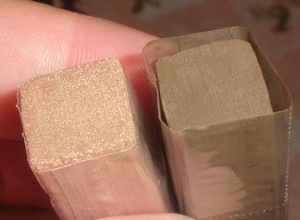 Both sticks have a densely pressed powder texture with a good color pay-off. 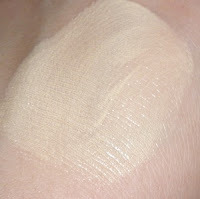 The lighter shade has a glowy/pearly finish and can be blended quite nicely. 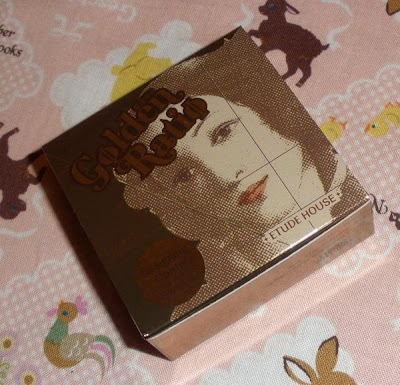 For me unfortunately the warm beige shade is too dark to be of use as a highlighter and I for contouring it´s too yellow on me so I can only use it as an eyeshadow and the color is just not perfect for me. More tan ladies can probably enjoy this stuff really well, though! 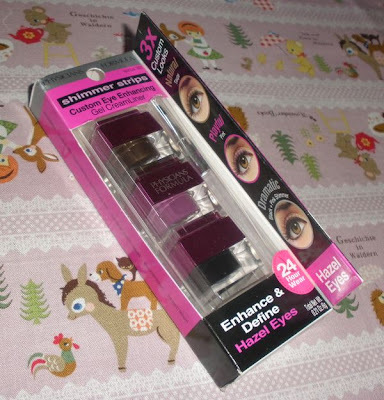 Applied with a thin angled brush this could also make a good eyeliner but I haven´t tried this yet. 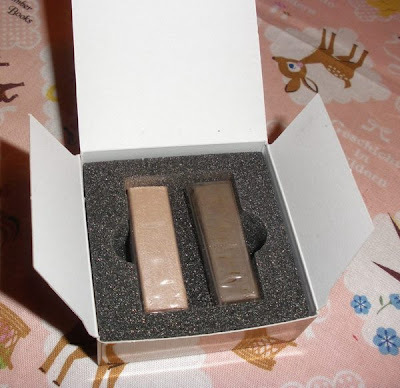 The sticks aren´t scented and cost me 8000 Won (around US$7something). 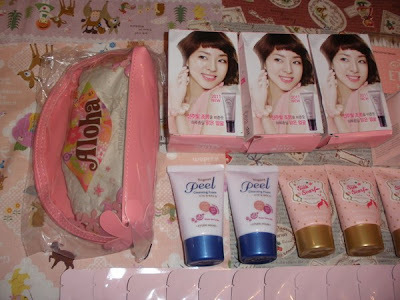 I got them from etudegmark on Gmarket (item 193822952). I am sorry but right now it seems this item is out of stock. Rating 3.5/5... the darker stick alone totally gets 5/5 however the lighter color drags the rating down a bit. 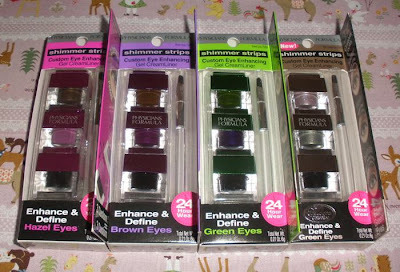 So I ordered a big bunch of items from the Shimmer Strips collection from Drugstore.com and even though the shipping turned out quite expensive it still was cheaper than getting the items I wanted from various eBay sellers. Shipping via DHL to Austria was about the fastest I ever experienced.. the package left the USA on Thursday and by Friday noon I already could pick up the package from our local DHL office! That is faster than local mail lol. 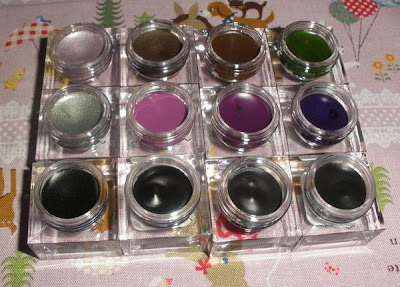 The gel liners come in super pretty cubic little pots in stacks of 3. You can detach the liners from each other and rearrange them the way you like. 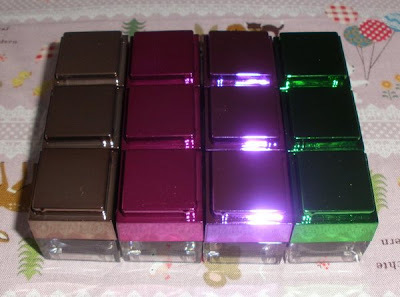 Makes me play around with them like with Lego blocks :P The caps in each trio have different metallic colors so they can be found easily in your makeup drawer. 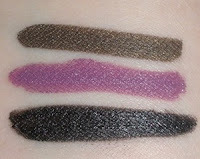 The texture of these liners all in all is absolutely divine...the liners are very pigmented, smooth and glide on like silk. Once they are applied and set they don´t budge or smudge and stay fresh all day long. Absolutely amazing, really! Of course these don´t irritate my eyes and wear just comfortably. The majority of the liners contain fine shimmer or have at least a slightly shiny finish. 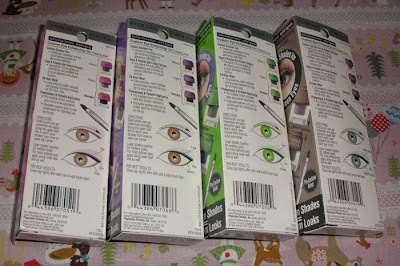 Each liner trio comes with its own brush and actually it´s really nice and does the job very well! 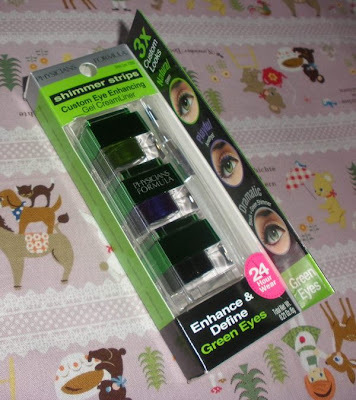 This was a special edition or new edition or something intended to be used with green eyes. It contains the sheerest liners and they are actually very suitable to be used for the lower inner eye lid (near the tear ducts) or to actually apply them as shimmery eyeshadows. The colors are a metallic pale icy lilac, pale metallic greenish silver and a silvery deep gray (this is more different and a bit lighter than the other blacks in the other trios). 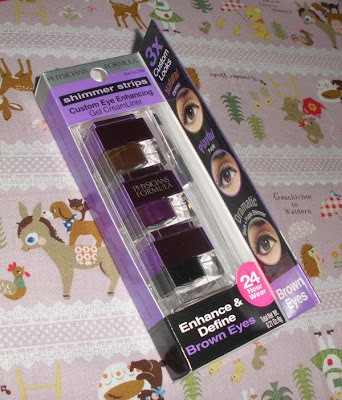 This trio is made to brighten and enhance hazel eyes. The colors are a shimmery taupe (love this!! 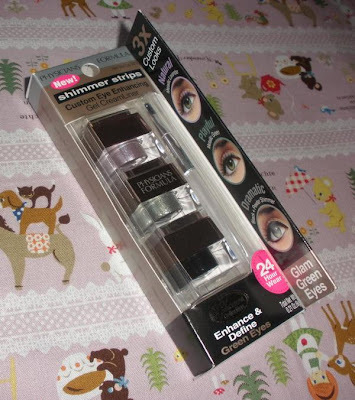 ), a slightly shimmery pinkish purple and a black with slight pink shimmer. The pinkish purple is quite bright but pretty nonetheless. 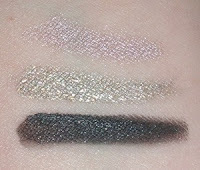 This trio to enhance brown eyes is actually very similar to the one for hazel eyes however the colors are a bit deeper. 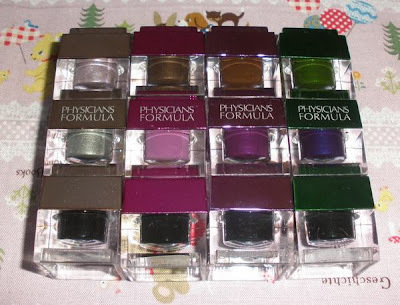 There is a deep chocolate brown, a medium purple and a black with purple shimmer. This is the most fun trio in my opinion and is the trio for green eyes. 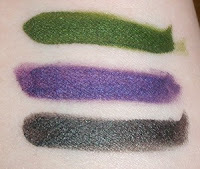 The colors are a wonderful deep velvet moss green, a cool grape purple which looks almost blue and a black with green shimmer bits. Here is an EOTD wearing the 2 fun colors from this trio (eyeshadows are from the PF Shimmer Strips Custom Eye Enhancing Shadow & Liner palette in Pop Green Eyes, to be reviewed soon). 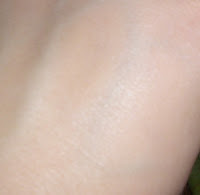 I only slightly smudged the green liner on, it´s much more pigmented than it looks in the pic! Retail price in the US is around US$11 but I think these can be found on sale often. I got mine from Drugstore.com (international site) for around €6.50 per trio. The products are fragrance-free, paraben-free, dermatologist approved and safe for contact-lens wearers and sensitive eyes. Update: Here is part 2 where I reviewed a few more colors! 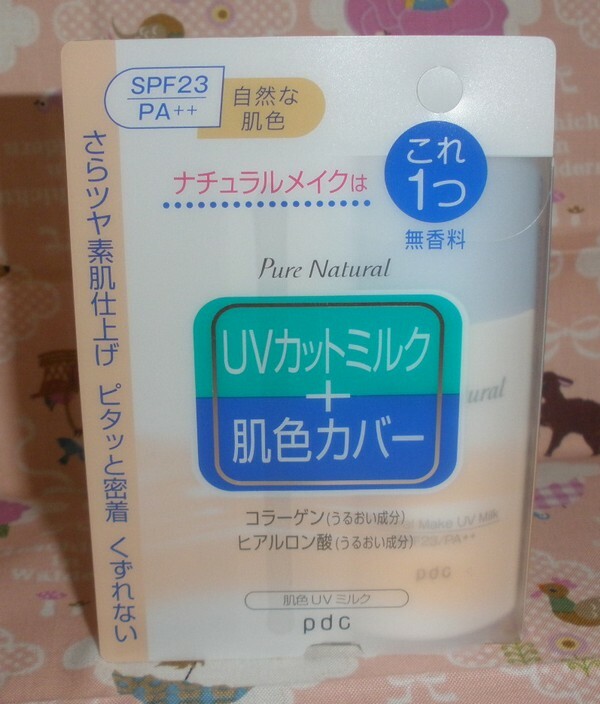 PDC released a new tinted moisturizer/sun protection recently and since I always fall for those kind of things I ordered one. 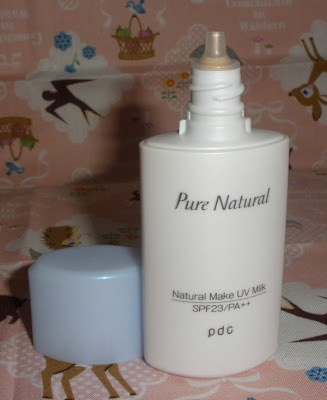 The Pure Natural Make UV Milk SPF23 PA++ comes in a small simple white/blue bottle and has to be shaken prior to each use. 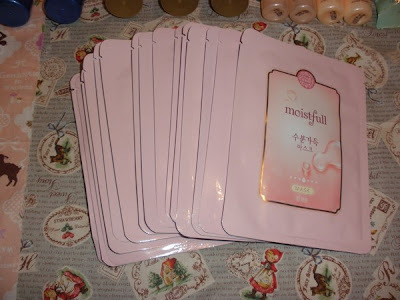 The product is quite liquid and spreads easily. It feels a little greasy at first but that feeling settles soon in my opinion. 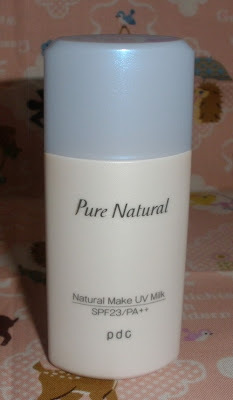 This milk is tinted in a very fair yellowish shade which works great to brighten my skin and to use as a base for foundation however the coverage is so sheer a variety of skin tones should be able to use this. 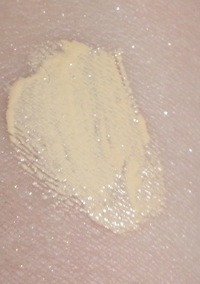 This seems to leave some sort of sheen on my skin but not really shimmer or glitter. The sun protection level is fine for doing errands or just hanging out for an afternoon in the city but won´t work for heavy outdoor activities and I am not sure if it´s waterproof (probably not). 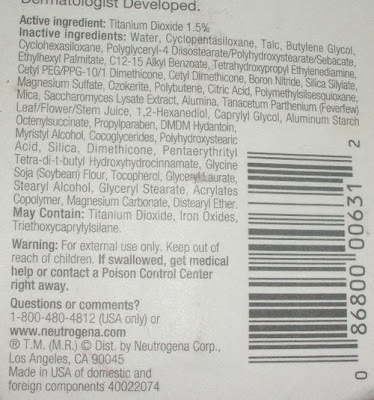 This stuff isn´t scented and doesn´t irritate my skin at all. Overall this is a nice makeup base or a brighening sunscreen albeit the slightly greasy feel bugs me a little. Silk Scarf shampoo, conditioner and hair mask, 3 hair dyes in black, Acerola face gel and those interesting Golden Ratio face contouring chalks (or whatever you call them. 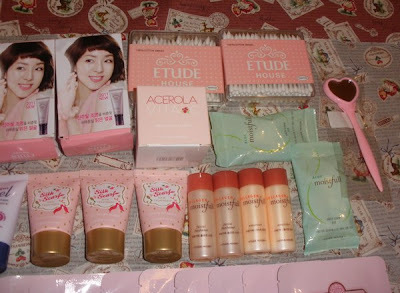 Overall this was the best experience with Etude House for long time as they used to be super generous with samples and freebies, then were getting REALLY stingy and now I got really a lot of nice and useful extras!